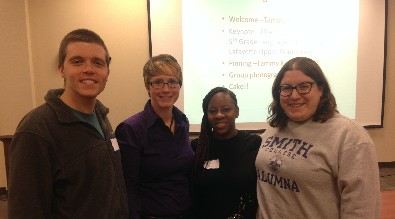 Several Byhalia Middle School teachers attended Super Saturday with The World Class Teaching Program at Ole Miss this weekend. Ms. Regina Humble was there receiving her pin for achieving her National Board Certification. Mr. Daniel Hart, Ms. Tiffany Bailey, and Ms. Megan Lonsdale were there prepping for their National Board exams. National Board Certification is an advanced teaching credential that goes beyond state licensure. To receive national board certification, teachers must successfully complete a rigorous certification process. We are proud to have several National Board Certified Teachers and Counselors at Byhalia Middle School. 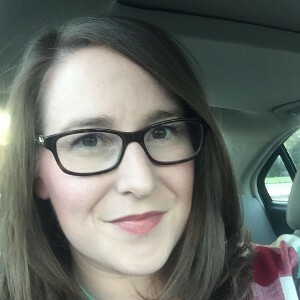 I have been an English Language Arts teacher for 9 years, both at Byhalia Middle School and my hometown of Taylorsville, MS. I earned my B.A. in Studio Art at Rhodes College in Memphis, TN after graduating from the Mississippi School for Mathematics and Science. Through the Mississippi Teacher Corps, I became an alternate route teacher and obtained my Masters in Curriculum and Instruction from The University of Mississippi. After working as a teacher at Byhalia Middle School for three years, I decided to pursue another Masters degree in Literacy so that I could become a better and reading and writing instructor. In 2013, after a year of hard work and professional development, I became a National Board Certified Teacher. Greetings! My name is Ms. Tina Kimmons. 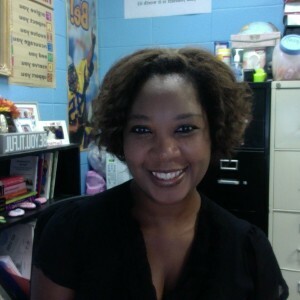 I’ve been working as a Professional School Counselor for over 11 years. I’ve received my undergraduate degree in Social Work from Upper Iowa State University. But, after working with children for 3 years as a Mental Health Therapist, I decided to pursue my Master’s in Counseling in Educational Setting from Northwestern State University. I love working with children and believe that every child can succeed regardless of his/her background! I have a precious son name Caiden Noel Kimmons. He attends Friendship Christian Academy and he keeps me busy! I am here at BMS to serve the children, parents, and our wonderful staff. Please feel free to contact me via telephone (662)838-2591 or email: tkimmons@mcschools.us should you need assistance. Go Indians! I am a 2001 graduate of Byhalia High School. I earned my B.A. in English from The University of Mississippi in 2006. After college, I had my son JJ, who's now in fourth grade. He loves reading, writing, and playing chess and soccer. While he was a baby, I earned my teaching license through the Teach Mississippi Institute. My first three years, I taught at the Alternative School, Ombudsman, where I worked with students in Marshall County, Holly Springs, and Tupelo schools. While at Ombudsman, I earned the Blue Ribbon Award for Excellence and Leadership. I came to Byhalia Middle School in 2012. I earned Teacher of the Year in 2015-2016, and completed National Boards over the last 2 school years. I am extremely grateful for the support I've gotten from my family, colleagues, administration, and the community in Byhalia throughout the process.Anyone who know me knows that I love my job! I taught 6th grade ELA at BMS for 5 years, and moved to 7th grade this year. I have been to Boston and Seattle for NationalEndowment for Humanities Workshops for Teachers. These experiences taught me a lot of content and allowed to meet many outstanding teachers from all over the country. When I'm not teaching, I enjoy running, writing, hiking, and riding my motorcycle, a 2007 Honda Shadow Spirit. I am currently awaiting the birth of my second son who is due in June 2018.